Edison Chinese School Lion Dance Group was established in the end of Year 2014. There are now 15 group members with 8 Lions, 2 Drums, and 18 Lion Flags. They are between 6 and 16 years old and trained by a professional instructor. This Lion Dance Group mainly performs for the events held by institutions such as senior centers, libraries, schools, overseas communities, etc. in the community. Averagely, the Lion Dance Group has more than 10 performances per year and these performances get favorable comments all the time thanks to the efforts devoted by the group members. 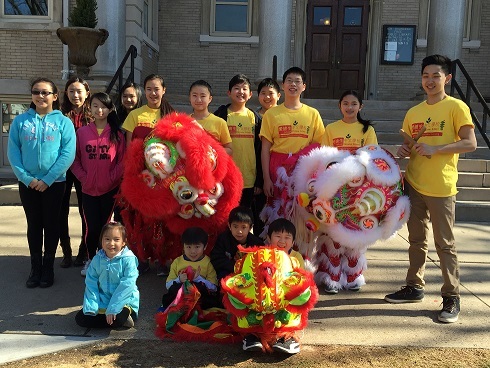 The mission of the Edison Chinese School Lion Dance Group is facilitating the interactions among different groups in the community, providing seniors entertainment, and most importantly spreading the Chinese culture. Edison Chinese School is very proud of having these excellent and energetic students in this group.